Men’s diamond set wedding rings have become increasingly popular lately, as more open and fashion conscious men choose sophisticated diamond set rings over plain bands. 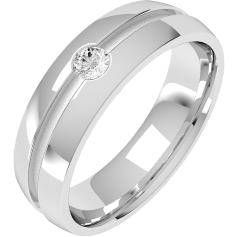 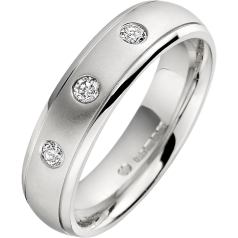 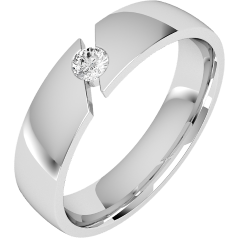 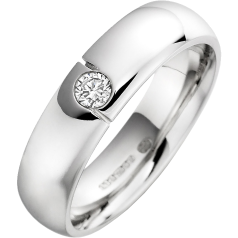 When selecting a men’s diamond set wedding ring it is also important to decide on one that complements the bride’s ring. Choose a men’s diamond set ring manufactured from the same metal, maybe even set with similar shaped stones. 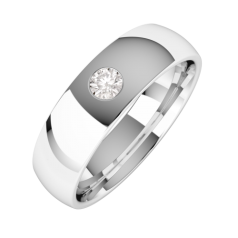 First and foremost however, the chosen men’s diamond set ring has to suit the taste and lifestyle of the groom, and it may even flatter the hand, for example longer fingers look better with wider rings. 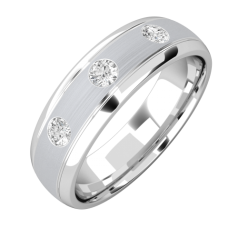 The wedding rings in our men’s diamond set collection are carefully made from white gold, yellow & white gold, white & rose gold, platinum, palladium. We offer a selection of men’s diamond set wedding rings with round Brilliant, Baguette, Princess Cut, round & Baguette cut diamonds, fastened with flush, rub-over setting or channel setting, so that our men’s diamond set rings can be worn more comfortably.